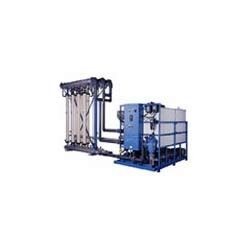 Our range of products include seawater desalination plant. We manufacture supreme quality Seawater Desalination Plant that is fabricated under the strict vigils of the experts. Resistant to corrosion, it is widely regarded among our valued patrons. Owing to its automated start up operation, longer functional life, and robust construction, the whole range of the seawater desalination plants offered by us is highly demanded. Looking for “Seawater Desalination Plant”?